Blogger has started using Country Specific URLs and some of you might have already noticed it. The change has been rolled out in India.If you are from India try visiting any BlogSpot URL and you will be redirected to the country code Top Level Domain (ccTLD). For example if you visit any page on http://bloggerindraft.blogspot.com from India , you will be redirected to the country specific page on http://bloggerindraft.blogspot.in . 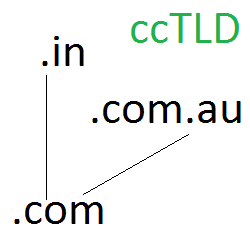 Similarly if you visit any other ccTLDs from India, you will be redirected to the Indian TLD. eg: http://bloggerindraft.blogspot.com.au (Australian TLD) will redirect to the Indian TLD . Blogger has made a help page entry describing why they have made this change. You can read that at Blogger Help As per the article the change might soon be rolled out to other countries as well. This change was specifically made to enable country wise censorship. This tag will render the canonical tag for you. If you don’t want to add this tag for some reason, then you can use the following tag in the template’s head section. data:blog.canonicalUrl will give you the actual canonical URL(blogspot.com ). If you don’t have the canonical tag on your pages, you might get into trouble on search engines which might index different country specific pages of your Blog. Your Social Counters(Facebook Like Button, Google Plus One button etc) will show the wrong count and will allow users to share different country specific versions of your Page. Adding the Canonical tag will ensure that the same blogspot.com page gets shared on social networks and so the counters will display the same count irrespective of the country the visitor is from. Custom Domain Blogs like mine will not be affected by this change. Dynamic View Templates doesn’t render the canonical tag(when I’m writing this post). Hence non-custom domain blogs which use Dynamic View Templates will face the issues that I have mentioned above. I have reported this to the Blogger guys and hope this will soon be resolved. Update :- Blogger has now addressed this issue and now the canonical tags have been added to Dynamic View Templates as well. Update (1/2/2012): Since most of the Social Counters were not configured to use Canonical URLs, they might show wrong counts. All template tweak posts here on this blog has now been updated to use Canonical URLs. If you are using the data:post.url variable in any of the social plugins, then you will have to replace it with data:post.canonicalUrl. If you are using data:blog.url anywhere for social plugins, then you will have to replace it with data:blog.canonicalUrl . You might get some idea if you check out the updated posts here on this blog. Yes i have already notice this on my blog - http://populartemplesofindia.blogspot.in/ Earlier .com was there in the end. Debug the URLs using the Facebook Debug Tool ( https://developers.facebook.com/tools/debug/ ) to force a cache refresh. Thanks for the tip admin. after removing og:url, i think i fixed like buttons. but what about fb comments? and also rendering a social button pointing to a particular page from other pages also shows wrong count. i have +1 buttons on home page that points to .in domain. please help me fix this issue too. @Raghav - if you remove the expr:href parameter from the <fb:comments/> tag it should get back to what it was before. But you are gonna have difficulties in displaying the correct comment count on non-post pages. @Raghav - yea saw that . I guess you were using data:post.url for the fb:comments tag. Use data:post.canonicalUrl instead. And also can you explain me how did you specify og:image meta tag for your website? how can we get an image link dynamically in meta tag? @Raghav - I have already made a post about that. How we can use simple template as a dynamic template??? @Kyle - If you have readers outside Russia , then they might already be seeing country specific URLs. Thank you for this but this change also includes Tunisia? I notice such thing when I used OpenID to login with Dissgus. I found out that com change into in but I'm in id. My country hasn't cuntry specific domain in blogspot..
and it will solve the redirecting to country specific urls? you can't prevent the redirection permanently. If you have the all-head-content added, then there is no need to add the canonical tag separately as the all-head-content tag will render it. How can I find out if my country has a specific domain in blogspot? But it makes me think whether to stay with Google or not with my blog. Is wordpress doing the same changes? first of all thanks a lot, the replacement of data:post.url with data:post.canonicalUrl solved the problem and the teats are all visible again. But I don't like the idea that my blog url will not end with .com anymore, hence I bought my own url. However when I applied it to my blog, again all tweats and facebook likes and comments disappeared. Do you have a solution for this? I have a huge problem...since my comments are not showing up on my facebook comment box. I would like to remove the facebook comment box from my posts completely. its causing a lot of confusion and problems for people to login. Can you please let me know how to remove the facebook comment box pls. Bad news, but thanks for your reply!